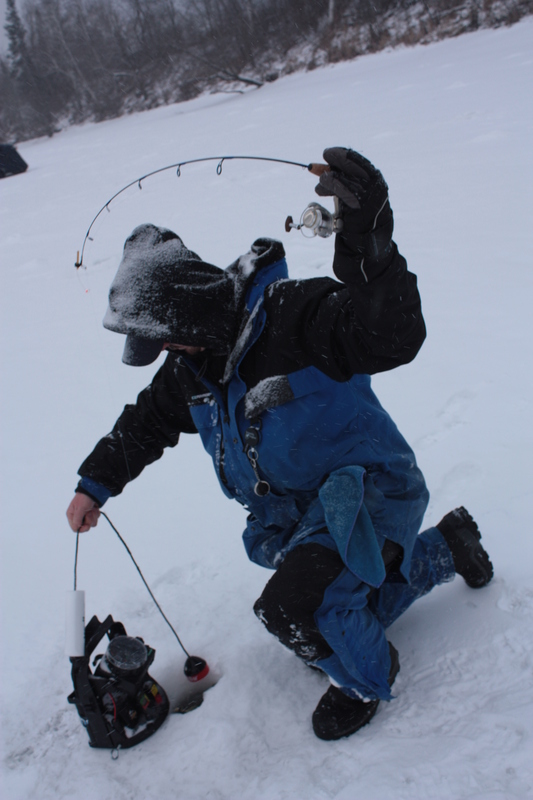 With so many rod and reel combos for ice fishing on the market it’s hard to find exactly what you want. Austin Custom Rods will build you what you want for an affordable price. Pair one of these with your favorite fishing reel and you won’t be disappointed! 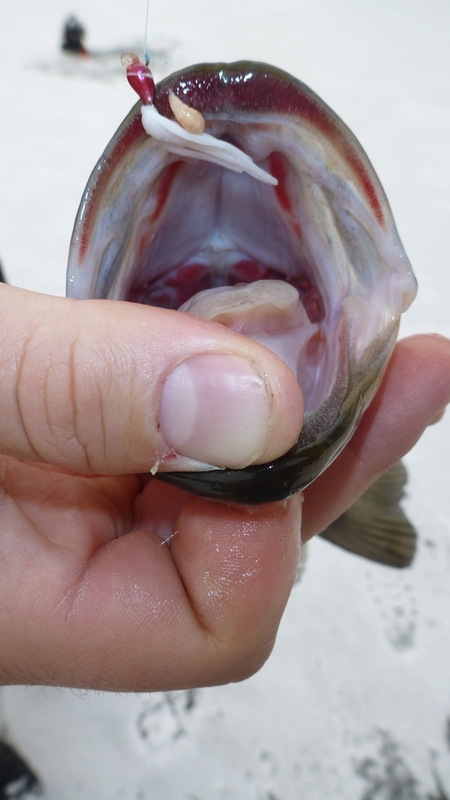 You can discuss what you fish for, your style of fishing, and chose your length. An Austin Custom Rod will be a great addition to your fishing arsenal and I bet you will be back for another before you know it! Fish on! Right now, we are currently improving our skills on catching fish on micro plastics ice fishing. 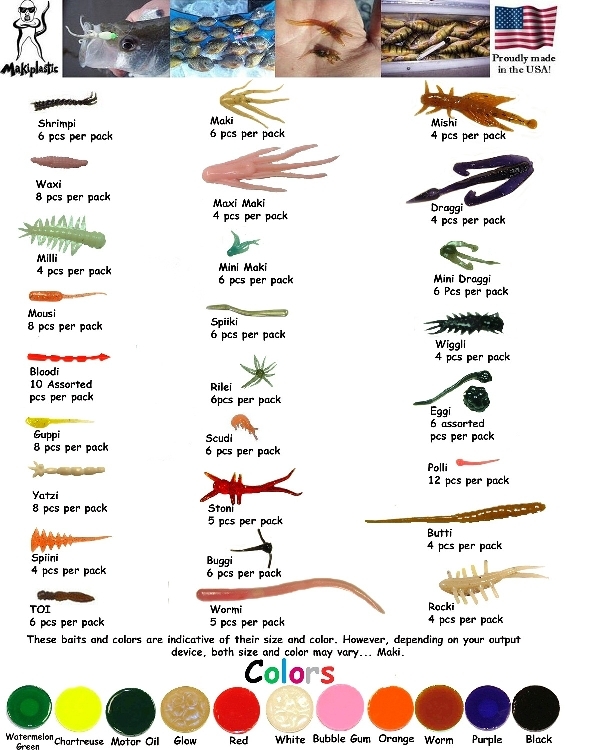 Our current choice of bait to fish with are products made by Maki Plastics. These baits are amazing. There are so many choices in terms of colors and designs. 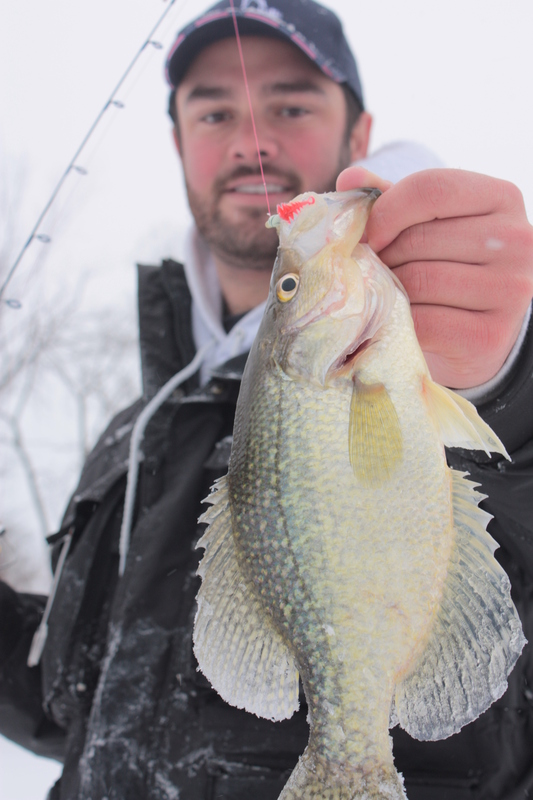 Last weekend we we fishing a hole that was producing amazing numbers of crappies, but we were catching a lot of dinks running a small plastic tipped on a tungsten jig. We started fishing a larger sized bait from Maki and noticed that we caught as many fish but the size quality was a lot better. Give them a try! A little background to begin. 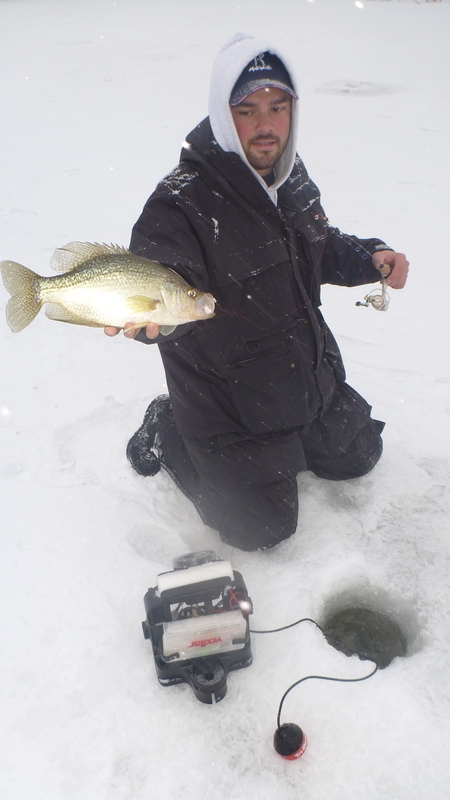 This blog will have two authors who are nuts about ice fishing- especially when the elusive crappie is present. From the Canadian border to the questionable waters that may or may not be be part of southern Vermont’s licensing rights, one of us has most likely fishing there. We fish hard, fast, and we like to think smart. Between the two of us we have caught some quality fish that are in the record books! My name is Dylan Smith. I grew up in central Vermont but didn’t hit the ice until the ripe age of 21. I started off fishing lake trout in the northern part of the state with tip-ups. 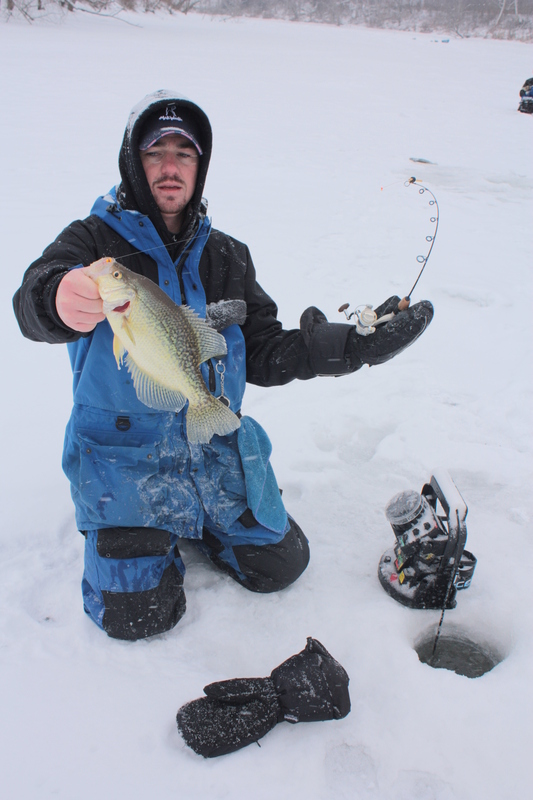 For a while, chasing flags kept me occupied but it lost its novelty once I had my first taste of panfish. I am now 24 and am one step away from entering rehab for my addiction. Currently, I fish almost 5 full days a week and love every minute of it. I have a degree in Fisheries Biology so my affliction with fish is nothing new and is something that I doubt will ever go away. My name is Bobby Booth, I also was born in raised in central Vermont. Grew up hunting and fishing and is one of the most important things in my life. I am a high school music teacher by trade but spend most of my free time pan fishing and trying to promote the sport of ice fishing. Thanks for checking us out. We look forward to entertaining you!